Bailey Retreat: The UK’s first semi-static tourer? Bailey of Bristol are unveiling their first ‘leisure home’ the Bailey Retreat at this week’s Motorhome Caravan and Camping Show in London. We have details of the new range and some of the first pictures ever published of the 6 berth Sycamore model! Liz King gives us a sneak peak at the two new models on offer. 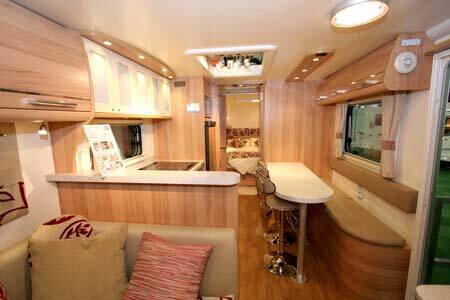 It is a leisure vehicle like no other on the market, different from a touring caravan, yet not a caravan holiday-home. In fact Bailey have classified it as a leisure home. It will suit you if you are tired of touring as it’s designed to be sited on a seasonal pitch for a season, or two, rather than be towed by the owner. It is expected that it will appeal to first time caravanners and to existing caravanners by providing them with a convenient and cost-effective way of acquiring their own place in the country, or by the beach, or by a calm lakeside; just wherever you envisage spending your own leisure days. Bailey research has shown a significant proportion of UK touring caravan owners don’t tow hence their decision to produce the Retreat. Customer friendly, convenient ownership has been an important part of the thinking behind the design of the new model and the sales agreement includes transport to and locating a customer’s Retreat Leisure Home on a registered caravan site anywhere in mainland UK and provides on-going mobile servicing and warranty support as required under the terms and conditions of the Bailey warranty. This will be done by the supplying retailer. There are now over 30 approved Retreat retailers in the Bailey Dealer Network, with more to follow. 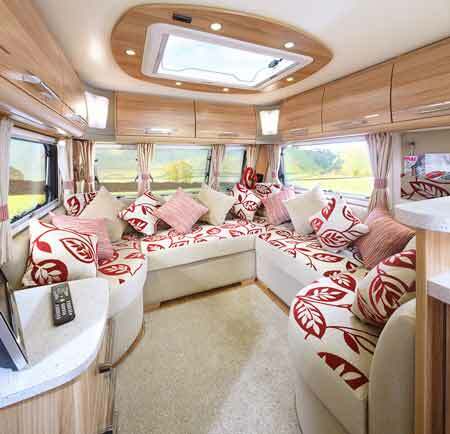 As the weight of the vehicle is no longer a key consideration, it has given Bailey the opportunity to build a larger caravan, with over 25% more interior floor space than a standard twin axle touring caravan; the internal length is 7.29m (23’11”), internal width of 2.32m (7’8″) and internal headroom of 1.96m (6’5″). Two layouts will be available initially; Willow (four-berth) and Sycamore (six-berth) Look out for more information about them both in forthcoming newsletters. Open plan living and dining areas, including a wrap round sofa in the front lounge with domestic standard “Sherwood” soft furnishings. Well appointed kitchens equipped with the latest appliances including a dual fuel hob, gas oven, a stainless steel 700 watt microwave oven and a Dometic 117 litre fridge freezer. Washrooms to maximise the space with a large circular shower cubicle and a host of practical items most notably the Thetford C-260 ceramic bowl cassette toilet, heated towel rails and a linen basket. Luxury end bedroom suites featuring a pocket sprung mattress double bed with optional co-ordinating bedding set. As it stands there are no standard security devices fitted to the Retreat range and owners may need to invest in security devices to meet the requirements of their caravan insurance policy. Like all Bailey models, Retreats are built using the same high performance and award winning Alu-Tech bodyshell which is insulated to Grade III classification standard, allowing you to holiday all year round with a high level of tried and tested insulation for your extra comfort. Models come with an extended bodyshell integrity guarantee to provide you with long term peace of mind, subject to terms and conditions. A durable GRP impact resistant outer skin, a reinforced floor and a heavy duty AL-KO chassis ensure that a Bailey Retreat has enduring build qualities. The Bailey Retreat Leisure Home has been introduced to reflect the changing way we are choosing to enjoy our leisure time it provides the permanency of a holiday home whilst at the same time giving you the flexibility of a touring caravan. Caravan Guard will publish caravan insurance prices for the Bailey Retreat range and discuss the nature of seasonal pitch caravan insurance in more detail at a later date. 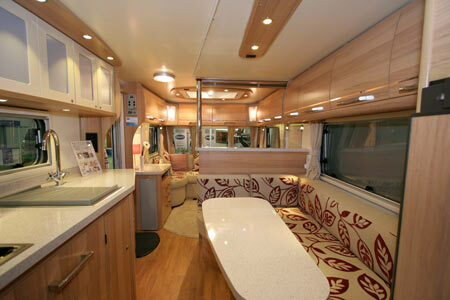 We have bought a bailey retreat sycamore would the isabella 420 universal fit? or any other ones, thanks! We looked up the Bailey website and looked at the specification details of the Sycamore and established the A measurement is 1177cm. We then went to the Isabella site and used the selection guide for a sycamore and established that the Issabella size for a full awning is 1200cm (which is massive!!) the site also gave me the height of the sycamore as 245cm. We were also able to establish that the All In One 240 awning (which we believe to be the replacement for the Universal 240) fits vans with a height of 235 – 250. This would suggest that the universal 240 should fit the sycamore. Before purchase I would check either with your dealer or Isabella direct for confirmation of fit. Hi folks. We have just fitted a Isabella universal 420 porch awning to our retreat willow and it fits a treat. It covers the door (handy), the middle and washroom windows and leaves the front and rear windows outside. At 440 x 230 cm on the ground, it is a serious extra space and looks just superb. We have just taken delivery of a Willow and it is fabulous. We wonder if you could advise if a Isabella all in one 420 porch would fit without fouling the windows or the door. Thanks. I would like to know if the retreat can be legally towed by a nissan pathfinder as a tourer. we would have had one of the newer models. A very interesting concept that does has a future with seasonals. 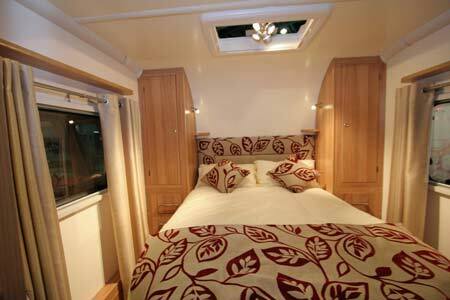 We have a Pegasus 462 (2010) and this will be its 3rd year on a seasonal pitch. First two years in the Cotswolds and now re-sited just north of Cambridge. We are in it 3 weekends out of 4 from March to November and we do tow as well a couple of times a year for our holidays, so we get the best of both worlds. It will be interesting to see how much it costs to move the Retreat from site to site. I am guessing one will have to pay per mile. Also it could get costly if your seasonal site make you move off the pitch at the end of the season rather than leave it on the pitch through the winter. I think this will open up demand for 12 month seasonal pitches on sites, which initially may prove hard to locate due to demand. Time for site owners to re-think their pitch usage and marketing maybe. Ahhh if only I had a few acres!! Oh well. Bailey Retreat – Wow……we want one!!!! Looks brilliant. 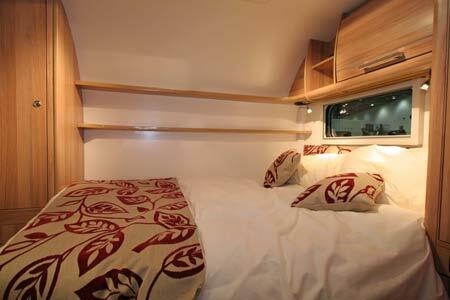 We have now set our tourer on a lovely seasonal site in Suffolk and this would now be ideal. We are spending so much more time at the caravan now, so the extra space would be lovely.. If, as you say in the piece, weight is no longer a problem, then why not make caravan with a couple of slide-outs, which really would make it a place to live for a season or two. 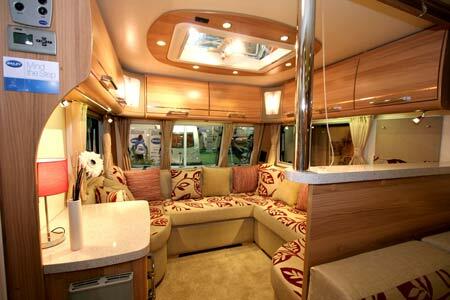 Having bought a Bailey Olympus 624 last year I wish I had waited, the Willow would have made my perfect tourer. One question is the 23 foot overall length law no longer in force? I know that following pressure from the Germans the government changed the law on width. I’d like to know if it can be towed on the road legally, or wether it has to be transported on a specialist lorry? The reason for this, is that we are semi-static for the season in Wales, but do like to move my caravan from the rural caravan site, to a coastal site for a week’s seaside break. Would the farmer’s Land-Rover be able to tow it legally? Having visited the Motorhome, Caravan & Camping Show earlier this week there was a definite buzz about this new Bailey model. Will be interesting to hear what our readers think about the Retreat. 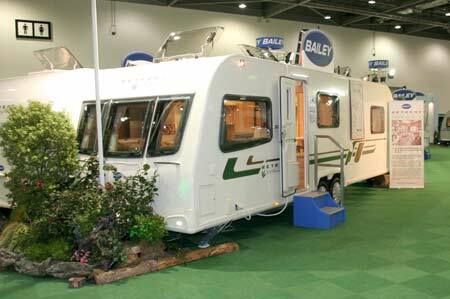 How many of you have your tourers sited on a seasonal pitch and if you do, does the Bailey Retreat appeal?